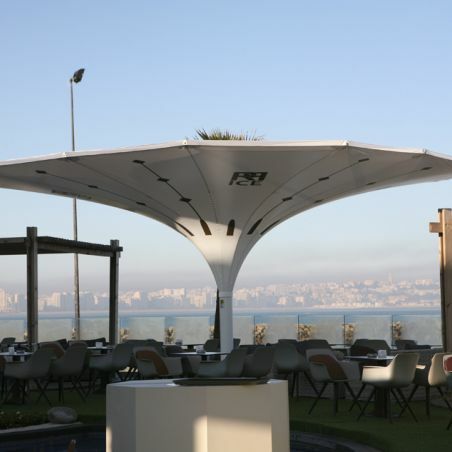 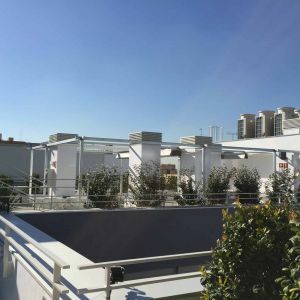 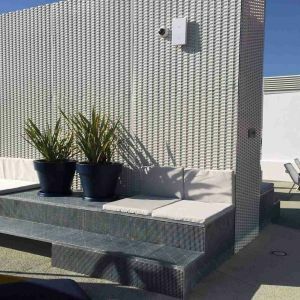 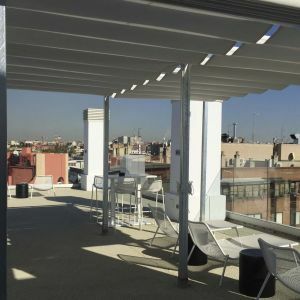 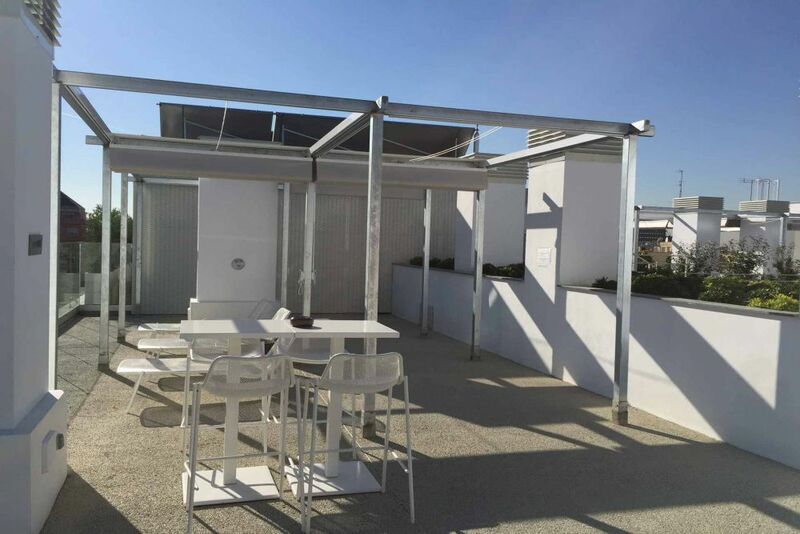 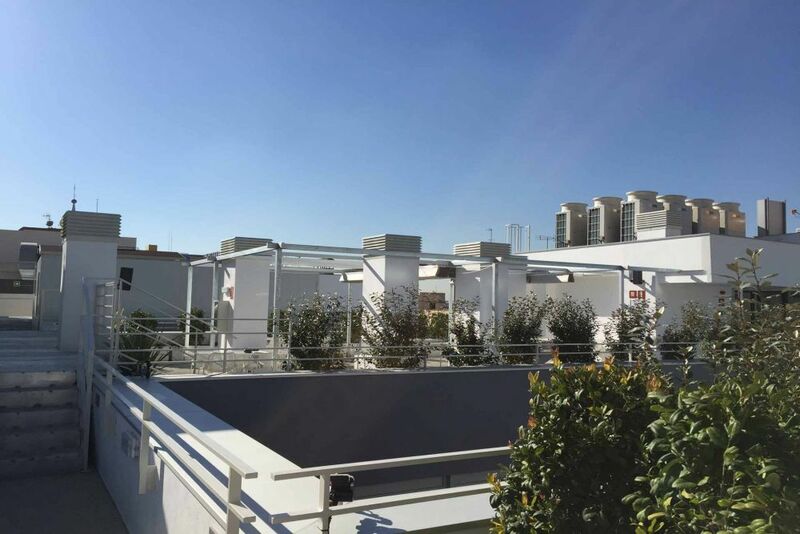 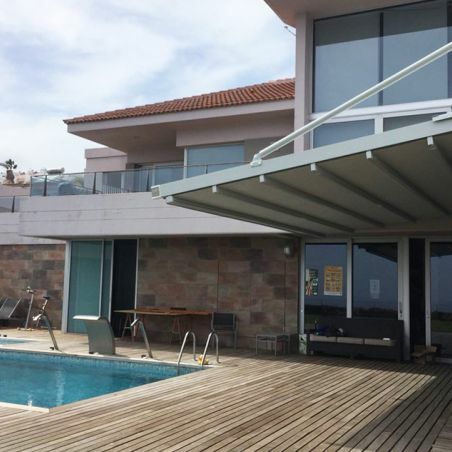 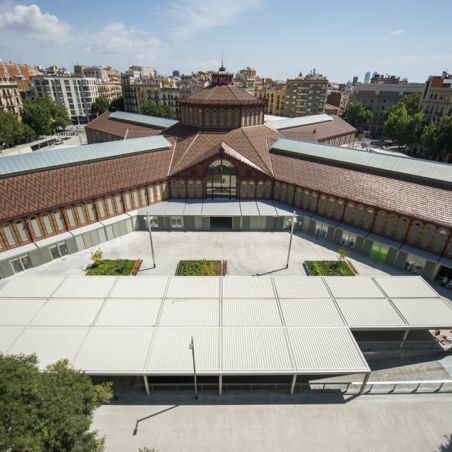 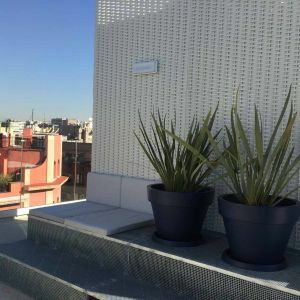 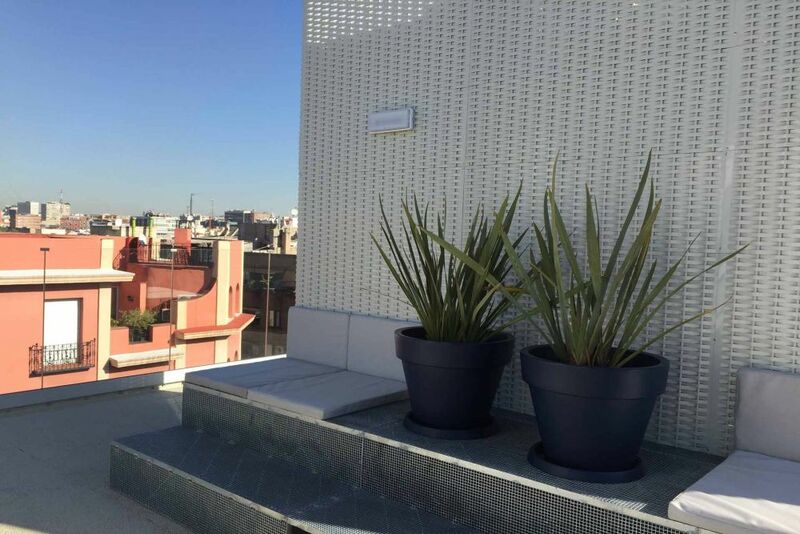 So that the users could enjoy more of the services that are in the terrace, 14 model Giralda awnings were installed, to give more shade in this part of the residence. 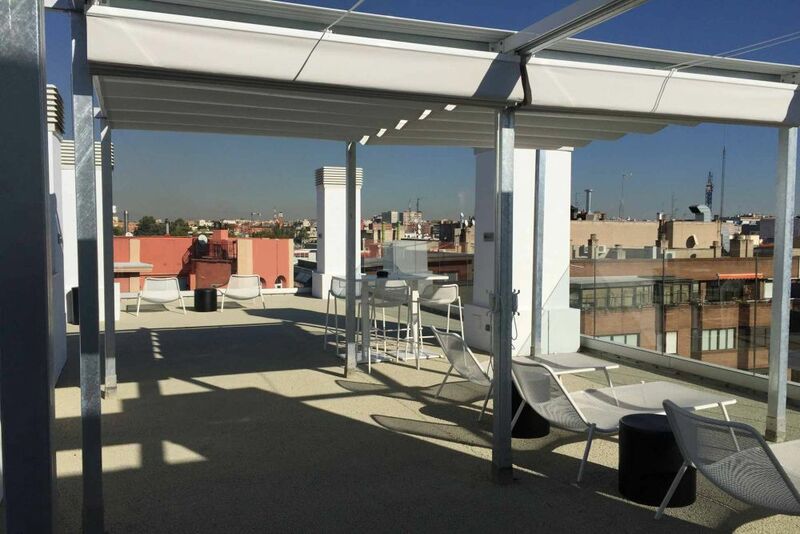 Other products that were made for this space were several cushions for the hammocks, according to the canvas of the awning. From the existing structures 14 awnings Giralda of different sizes were installed between walls and covering a total area of ​​more than 74 m². 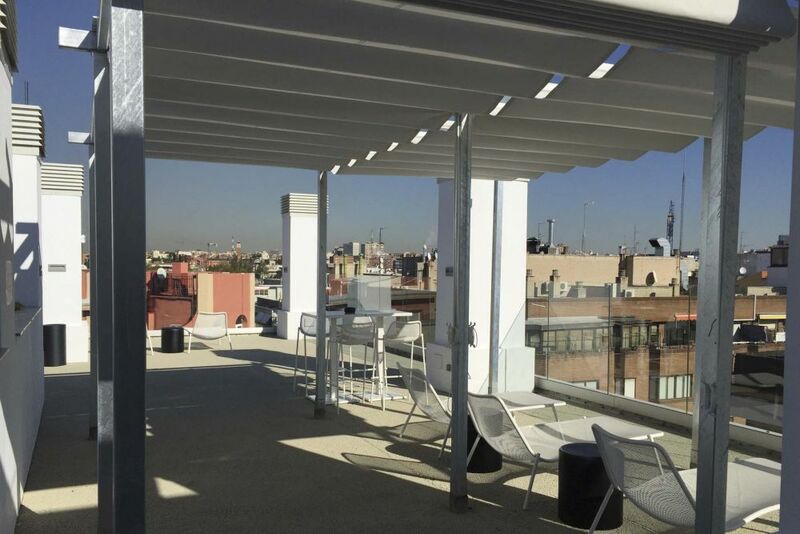 The canvas material of the Giralda awning is an 300 gr. 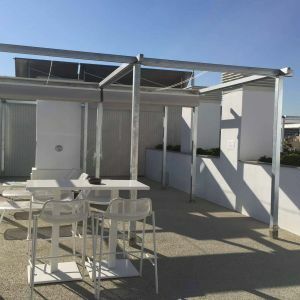 silver acrylic and a white aluminium structure. 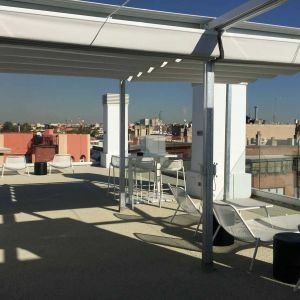 The Giralda model is an ideal product for this installation because it is in line with the structure that was already installed with a manual opening and closing system. 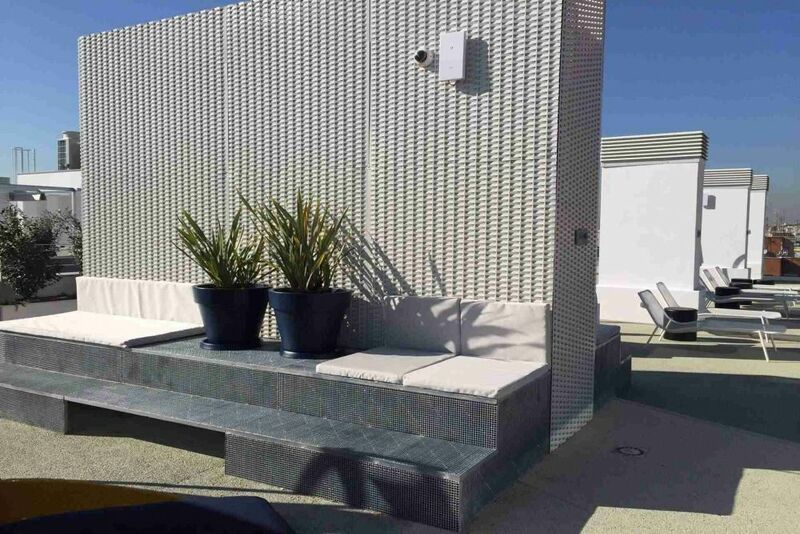 Another of the products of this work are the cushions made with acrylic silver canvas. 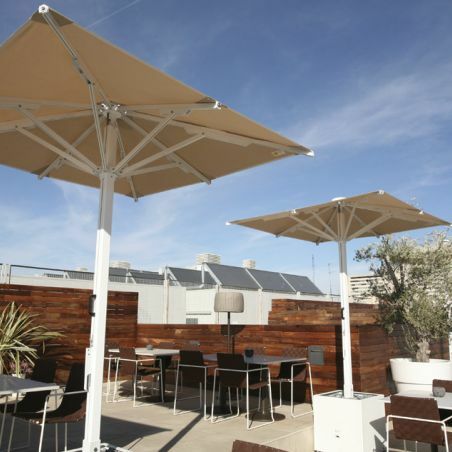 They match with the stamping of the awnings canvas.